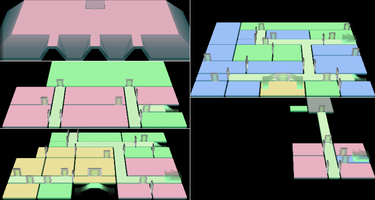 This article is about the Balcony on the second floor of Luigi's Mansion. For other Balconies, see Balcony. 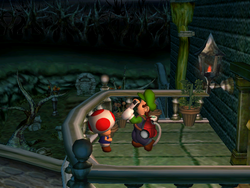 The Balcony is a small terrace on the second floor of Luigi's Mansion. The Balcony contains a Toad who can save Luigi's progress. It can be accessed only from the Wardrobe Room. The Graveyard and the Boneyard can be seen from the Balcony. Also, the Balcony can be seen from the hole in the window of the Master Bedroom. This page was last edited on November 27, 2018, at 11:42.